Singapore Party Bus is the One & Only Party Bus in Singapore with U-Shape Sofa Seating.Singapore Party BUS Bookings available for Bar Crawl, Birthdays, Bachelor or Bachelorette party, Proms, company events or simply a ride to town with your best buddies. And if you’ve multiple pick up locations book a party bus for an hour to round up the gangs before heading straight to your chosen destination. For hourly bookings, karaoke onboard are also available but only for advance booking as not all party bus comes with a karaoke system. The Party BUS are also available for airport arrival and departure transfers which is ideal for a surprise pick up when your family or friends visits Singapore for a vacation on the holiday seasons. Other than that we also cater for big local events held yearly in Singapore such as ZOUK Out, Helloween Partiy and F1 Grand Prix . We assure you’ll arrive in style and be awed by onlookers when getting out of your cool ride .Read More..
Price detail – Party Bus Service Choose another vehicle? * Price quote above include all Airport Tax, ERP and Carpark charges. Complimentary Waiting time of 15 Minutes for 1-Way Transfers from the time of the booking, after which a surcharge of $10 per 15 Minutes block is applicable. Waiting time of 45 Minutes for Arrival Transfers from the time the flight lands, after which a surcharge of $10 per 15 Minutes block is applicable. Midnight Surcharge of $10 will be applicable from 0000Hrs – 0600Hrs. Additional stop (along the way) will be chargeable at $10-$15 respectively. A 10% service charge is applicable for all credit card transaction. An additional $10-$20 Surcharge apply for Transfers to & fro Tuas and Jurong Island. Details of Passengers , Luggage , Flight..
Payment Mode * Choose Payment method...Payment by cash direct to the driver.Payment via PayNow (82338628) with $0 admin surcharge.Payment by credit card to the driver (10% admin surcharge applicable).Payment through online now ( 10% admin surcharge applicable). Payment Mode * Payment by cash direct to the driver.Payment via PayNow (82338628) with $0 admin surcharge.Payment by credit card to the driver (10% admin surcharge applicable).Payment through online now ( 10% admin surcharge applicable). 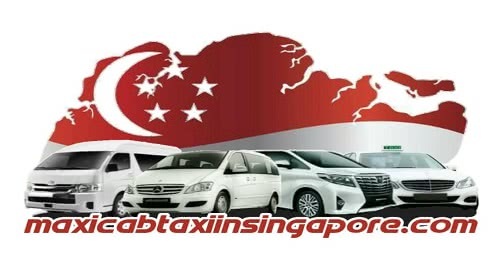 Maxicabtaxiinsingapore will safely drive you to and from the destination of your choice.Let us be your designated driver for the day. Just sit back, relax and take advantage of the funnest and safest method to enjoy the beautiful and breathtaking Party Bus! Our Party Van are fully equip with all the things needed to have a great private party on board. Each and every one of our party bus are even equip with a smoke machine to create that mesmerizing disco effect. These 13 Seater Singapore Party Bus are loved by travelers the world over and now they are also becoming very popular in Singapore as well. Make your Party Bus booking now and party in style on the road! Check out our best party bus rates in town such as point-to-point transfer and our ultimate value for money hourly disposal booking. You may also contact us through our maxi Cab Hotline and that we can send you a maxi Cab in twenty minutes otherwise you may additionally can make an advance booking via our maxi Cab online Booking portal.